There’s a pattern in European building that American builders ought to emulate. It’s perhaps not the sort of thing the casual hotel traveler might notice, but it’s a habit in city design that manages density (noted by a friend at dinner last night) and provides a walkable cityscape attractive both to visitors and residents. Here I mean the courtyard-centric housing in cities like Berlin. Buildings directly abutting sidewalks as well as ground-floor cafes and bakeries are the most noticeable for the person wandering the city, but for the resident, the focal point of an apartment block is the central courtyard of that block. Residential buildings are coexistent with commercial operations. While the bars and spatkauf (late night shops) line pedestrian zones, these are interspersed with vehicle-sized gateways to inner courtyards, and these are large open spaces in the centers of these buildings. Bicycle parking, seating, garbage collection points, and mail drops are situated either in the breezeways serving as entrance points from the streets or in the courtyards themselves. This building pattern serves a few ends. First, it maximizes the usefulness of streetfront spaces. Second, it caps the density of a city block by holding open the centralmost point in the block. (In the U.S., when we build an apartment block, we fill its volume from one end to the next – and then front to back – with apartments. In Germany and other European countries, the forced break in side-by-side and back-to-back living quarters reduces density to a level that keeps neighbors neighbors and not necessarily strangers among a horde of strangers.) I’d like to see more of this in the United States. If I had a million or more investment dollars to develop a piece of land, this is the model I’d choose. Remember, you can find all of the summer 2017 posts on this page! 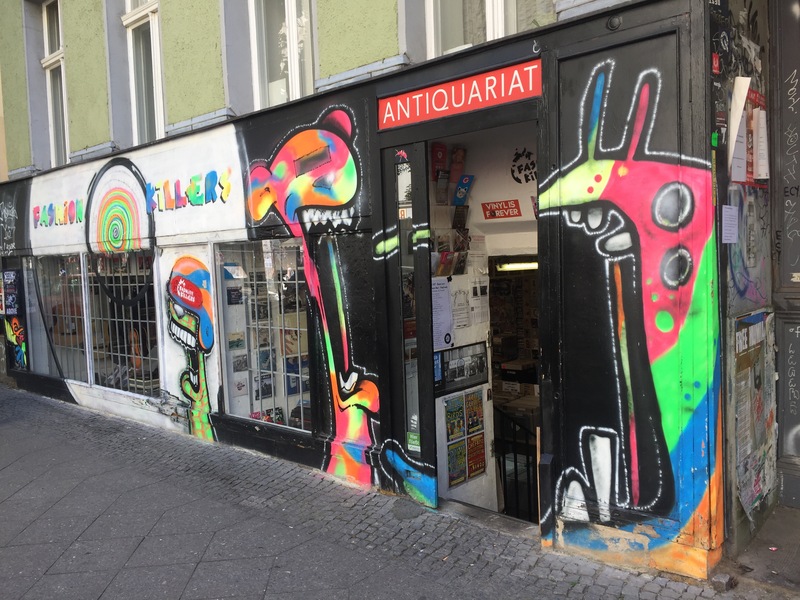 This entry was posted in Travelogue, Travelogue 2017, Travels and tagged architecture, Berlin, buildings, courtyards, Culture, germany, kreuzberg, population density, residences, travel, traveling. Bookmark the permalink. I wonder how these courtyards are for children? They’re okay. Depends on the design of the particular courtyard and it’s purpose. In some areas, the courtyards are basically for parking, sitting, and utility purposes only. In more rural or even suburban places – and not only in Germany, but in the Czech Republic as well – the courtyards are explicitly for safe children’s play areas as well as the rest. The rest actually becomes secondary in villages where they often still build by the courtyard system, but courtyards are more a part of the living spaces of the homes themselves of which they are a part.